During my stay in Berlin, I rested my head in the classy Circus Hostel. The hostel, and adjoining hotel and apartments, is one of the best designed bits of accommodation I’ve stayed at in a long time. It’s more proof that hostels have pushed the next level of quality. 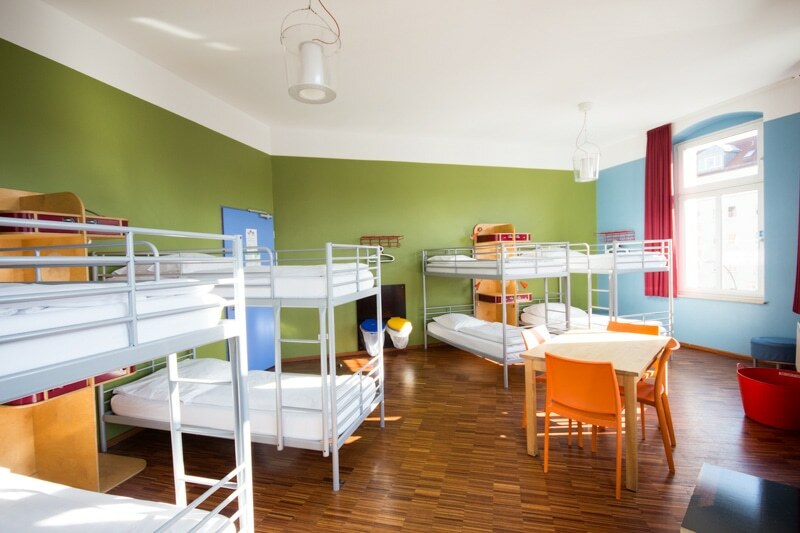 Back in the day, hostels were simple buildings with lots of cheap beds. Today’s traveller, however, seems to demand a bit more in a hostel. One looks for wifi, cleanliness, security, location, and yes even a nice design somehow adds to the comfort of the hostel. Circus Hostel pulls each of these aspects off, and quite nicely. When it comes down to location, you’ll be hard pressed to find a better one in all of Berlin. Though it’s a fair walk to tourist spots like Museum Island, it’s completely possible on foot. At a good pace, you can get there in about 10 minutes. However, if you don’t feel like walking, the U-train is basically right out the front door of the hostel making everywhere in town very easy to get. Moreover, the hostel is right on a street loaded with restaurants and cafes. Lots of Berlin’s classic eats can be had within a 100m radius of the hostel. The hostel itself is fairly well covered in terms of facilities. The downstairs area has a decent common area. There is a really nice café adjoining, where a well-priced breakfast buffet is served each day. There is wifi throughout the building and it is quite quick. My only issue with the facilities is the lack of a kitchen area. I also wish there was a better common area for people to meet. On the roof of one of the Circus Hostel’s apartments. The penthouse has insane views. The staff of Circus Berlin is fantastic. They are always around and more than willing to help you find activities outside of the hostel, or ones organized by the hostel. They always seem to be in a cheerful mood as well, and they make you feel right at home. In regards to security, I’m not sure I’ve ever been to a hostel as locked down as Circus Hostel in Berlin. Guests need an electronic key to use the elevator, enter their floor, and obviously their room. It does seem a bit over-board, but in the end if it protects the guests, it can’t be that bad of a thing. The rooms at Circus Berlin are outstanding. The dorms are spacious and are very well lit. They include small lockers for valuables and each bed is hooked up with a light and a plug. Private rooms too are well thought out. I stayed in a private double room with a shared bathroom. The room came complete with a desk area and a double bed. I would have liked there to be a sink in the room, even without the bathroom, but I can’t really complain. If you’re visiting with a family, or a small group, the Circus Hostel also offers fantastic apartments. The rooms are very well-priced and fantastic value. The apartments come fit with wifi, kitchens, and lots of living space. 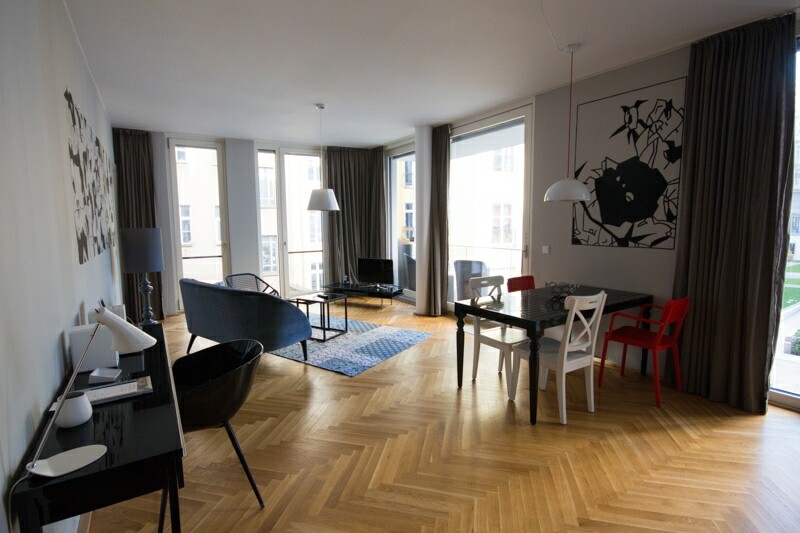 I can’t imagine finding better value in Berlin than the apartments here. 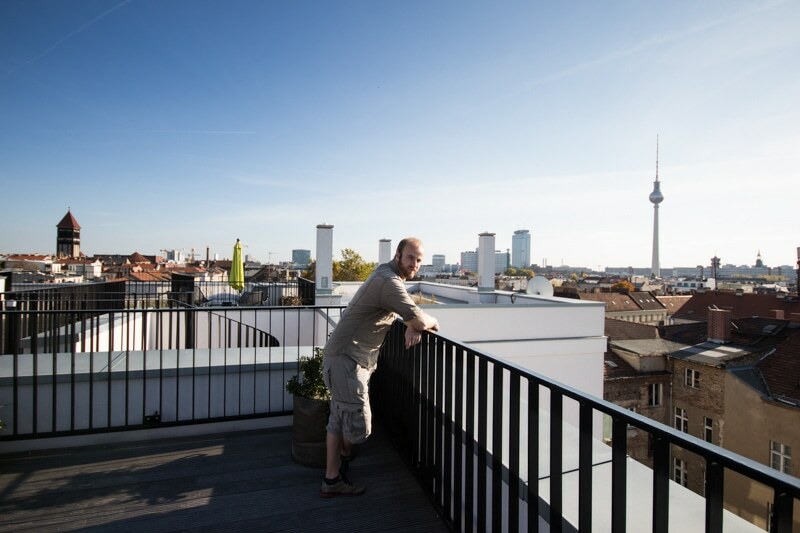 All-in-all, not lots to complain about, and plenty of praise for the Circus Hostel in Berlin. For such a large property, it felt personal and safe. Moreover, it was in impeccable shape in regards to cleanliness and design. In fact, I’d likely say that this is the most well-designed hostel I’ve stayed at. Highly recommended. For more information about Circus Hostel, visit their page on hostebookers.com here.